Olympic National Park. Glacier capped mountains, wild Pacific coast and magnificent stands of old-growth forests, including temperate rain forests. At Olympic National Park, you can find all three. About 95% of the park is designated wilderness, which further protects these diverse and spectacular ecosystems. 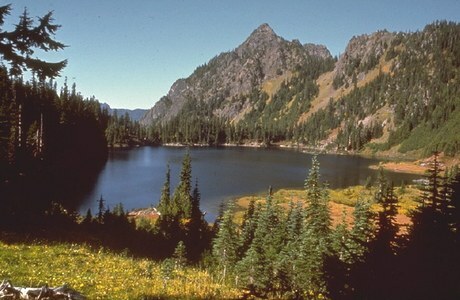 Olympic is also known for its biological diversity. Isolated for eons by glacial ice, and later the waters of Puget Sound and the Strait of Juan de Fuca, the Olympic Peninsula has developed its own distinct array of plants and animals. Eight kinds of plants and 15 kinds of animals are found on the peninsula but no where else on Earth.